The Supreme Court today sided with corporate interest over the health of working people in their ruling in the Hobby Lobby case. Nurses know how important the relationship between a patient and their healthcare provider is in ensuring the best healthcare outcomes. Allowing politics and ideology to define healthcare policy is a bad prescription for women’s health. Depending on where you work, the court’s ruling allows your boss to make decisions about your healthcare based on his or her religious beliefs. As a nurse who spent 25 years on the front lines of care, I know this is not sound health policy. This ruling harms millions of women and puts them in real economic and emotional distress. Access to certain reproductive health services will now depend on where you work and how much you make. Women across the country will now be forced to make tough choices between using recommended forms of birth control and keeping gas in the car or food on the table. SEIU nurses fought for decades for healthcare reform. While this is a disappointment, it is not the end of our fight. Across the country, we vow to fight back and continue to advocate for the health of our patients. Dian Palmer is actively involved in improving working conditions and patient care. 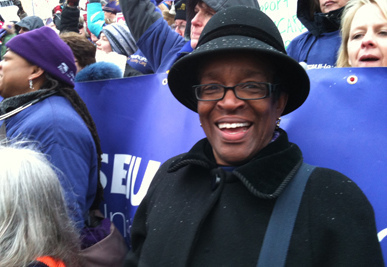 Currently, she is President of SEIU Healthcare Wisconsin and an Executive Board Member of SEIU. She is a member of the Milwaukee Chapter Black Nurses Association, and a Governor’s Appointee to the State of Wisconsin Minimum Wage Task Force. In addition, she serves as a member of the Democratic Party of Wisconsin Board, the UWHCA Public Authority Board of Directors and the Wisconsin Citizen Action Board of Directors. This post originally appeared on the SEIU Blog on June 30, 2014. Reprinted with permission. What could be more “Made in America” than a good old USA summer vacation that’s union made, too? Here are some tips from Union Plus. Check out the Union Plus Travel Center—the travel and entertainment section offers exclusive discounts for union members. The website also features hotels, airlines and rail service available in the region you’ll be visiting. If you’re taking a road trip to see the United States, make sure it’s in a union-made car, whether it’s the Chevrolet that Dinah Shore sings about in the vintage clip above or any other union-made vehicle on the UAW’s 2014 list here. To find a union hotel, visit the Hotel Workers Rising guide, where you also can download UNITE HERE’s hotel guide app. If you are headed to a major theme park, many are staffed by union members, including the 36,000 members of 18 unions at the Disney Parks in Anaheim, Calif., and Orlando, Fla. On top of that, several parks offer discounts through Union Plus. Actors’ Equity (AEA) also represents cast members working in many smaller theme parks. AFSCME represents thousands of municipal workers at city and state parks and zoos. U.S. Interior Department workers who staff federal parks and monuments are also union-represented—by the National Federation of Federal Employees (NFFE), an affiliate of the Machinists (IAM). AFGE represents many employees who build exhibits, conduct research and maintain the world-renowned Smithsonian Institution in Washington, D.C.
Thousands of employees working in Major League Baseball stadiums are represented by several unions—including AFSCME, UNITE HERE and SEIU. If you’re going to visit California, check out Labor 411, for a directory of union hotels, entertainment venues and other union-represented Los Angeles-area businesses and be sure to take a look at the new San Francisco guide. 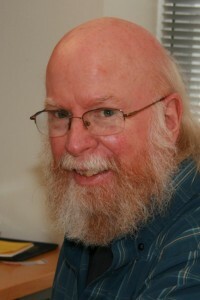 Mike Hall has been a member of the AFL-CIO since 1989 and has written for several publications, focusing on legislation and politics; particularly grassroots mobilization and workplace safety. This article originally appeared in AFL-CIO blog on July 3, 2014. Reprinted with permission.